We all want safe, connected neighbourhoods where we can visit our neighbours, our children can play, we can ride our bicycles and cross the street without feeling like we’re in danger from speeding cars. 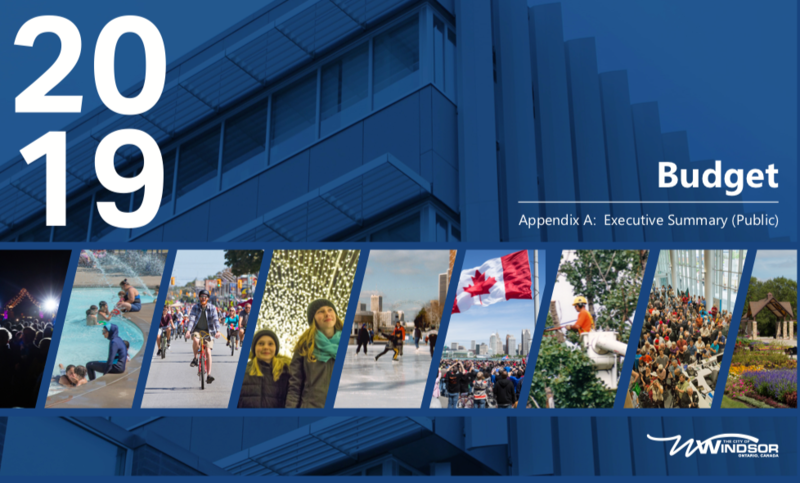 We have a lot of questions about the recommendations in the 2019 draft municipal budget and we’ve let our mayor and council know what we’re hoping to see. We hope you’ll let your councillor know what matters to you. Here’s our TOP TEN BUDGET ISSUES list that prioritizes people over cars. Two urgent projects – UNIVERSITY AVE (Huron Church to McDougall) and TECUMSEH ROAD W (the “S” curve at Crawford) do not appear in the 2019 capital budget. The Tecumseh Rd W EA has been completed, the University Ave EA is expected soon. Even if these projects were not due to begin for 5+ years, we would expect to see them in the 7-year budget. UNIVERSITY AVE W – The 2018 budget stated that “Implementation will be initiated with the balance of the funding.” This project is a huge opportunity, providing a major route to bring visitors from the new Gordie Howe Bridge into the downtown and a safe corridor between the University and College campuses. We understand that the results of the environmental assessment will influence the cost of this project. It is imperative that this project be funded beyond 2018 and that the $4,500,000+ used to initiate this project not be wasted. Where is the remainder of the OPS-003-14 funding? PARK TRAILS – Our city-wide trails are highly used by all segments of the population and trails have been identified as one of the most important recreational amenities in parks. It is imperative that we properly fund our trail system. Trail maintenance is one of the highest volume of 311 calls. The amount listed in the Capital Budget will not cover the cost to maintain the trails and the they will begin to fall into disrepair, becoming a liability and dangerous to pedestrians and cyclists. The cost of properly maintaining our trails will pale in comparison to the cost to reconstruct them when they have deteriorated. You can access the City of Windsor Budget Here.